For someone like me that has been playing video games for a long time, there is a sort of comfort food feeling to old school grid-based dungeon crawling RPGs like Haunted Dungeons: Hyakki Castle. 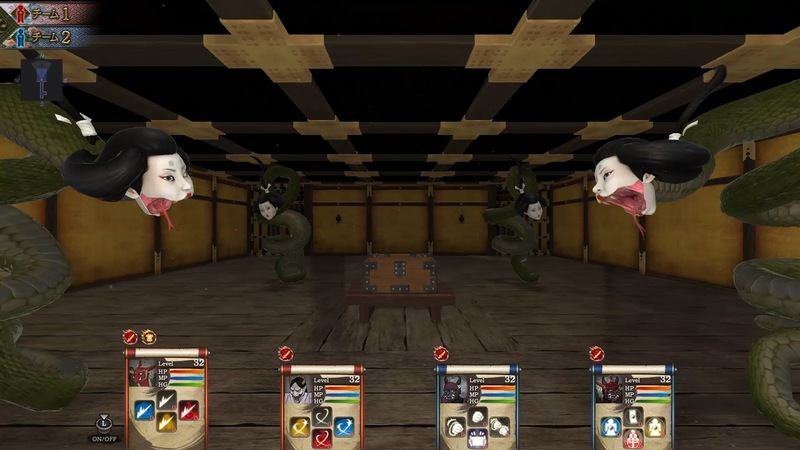 It ticks all of the expected boxes, which would be enough for me to at least enjoy the game on those merits alone, but Hyakki Castle has a couple of other interesting twists to its gameplay formula that makes it a refreshing addition to a somewhat formulaic genre. Things kick off in somewhat traditional fashion for the dungeon crawling genre. 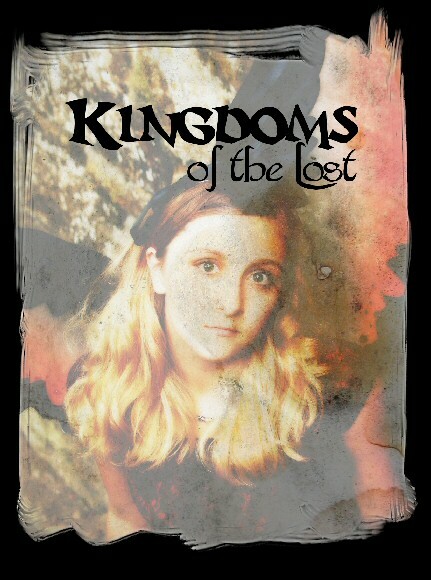 We have a bit of a thin story followed by assembling your party of would-be adventurers. Now, I am not one of those people who spends more time creating their characters than playing them in games like The Sims (unlike my oldest kid, who loses hours in doing just that), but party creation is still one of my favorite aspects of RPGs. 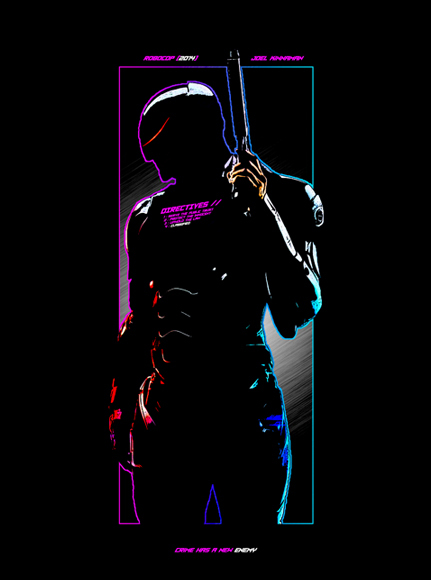 Here you have four races and four classes to mix and match with. 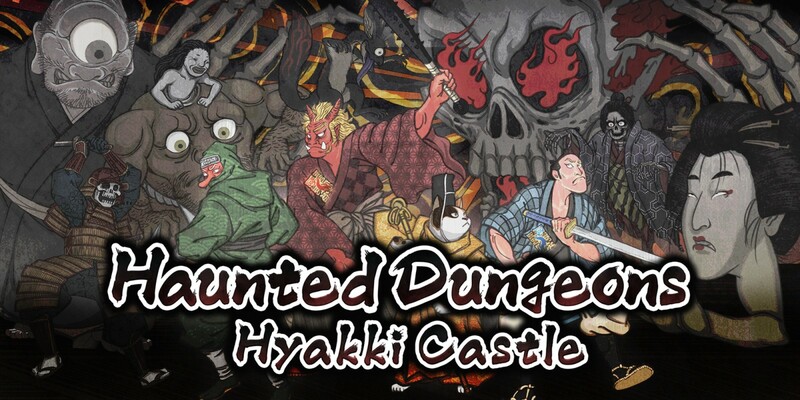 Right off of the bat, Haunted Dungeons: Hyakki Castle's unique flavor kicks in, as this is a very Japanese themed game through and through, and I mean that in only the most positive sense. The usual choices for character creation are here with selecting a gender and a portrait for your characters, but instead of 'thief', 'fighter', 'priest' and 'wizard' you are choosing from samurai, shinkan, sohei and ninja. Races also get a slightly different flavor than the traditional human/elf/dwarf/whatever selections with human still leading the way, but races such as tengu, oni and nekomata available as well. Admittedly these are just superficial changes from what I am used to, but they are welcome all the same. Once you have your team assembled, you venture into the titular castle and start figuring out how to best use the skills of your characters. The controls are handled well, giving you the flexibility to map your chosen skills or moves to a particular face button, but there is a give and take to the system as you have to figure out which skills you would like to have equipped and which ones to leave on the bench. At the end of the day, this is all just the visualization around a bunch of numbers being crunched in the background when combat occurs. 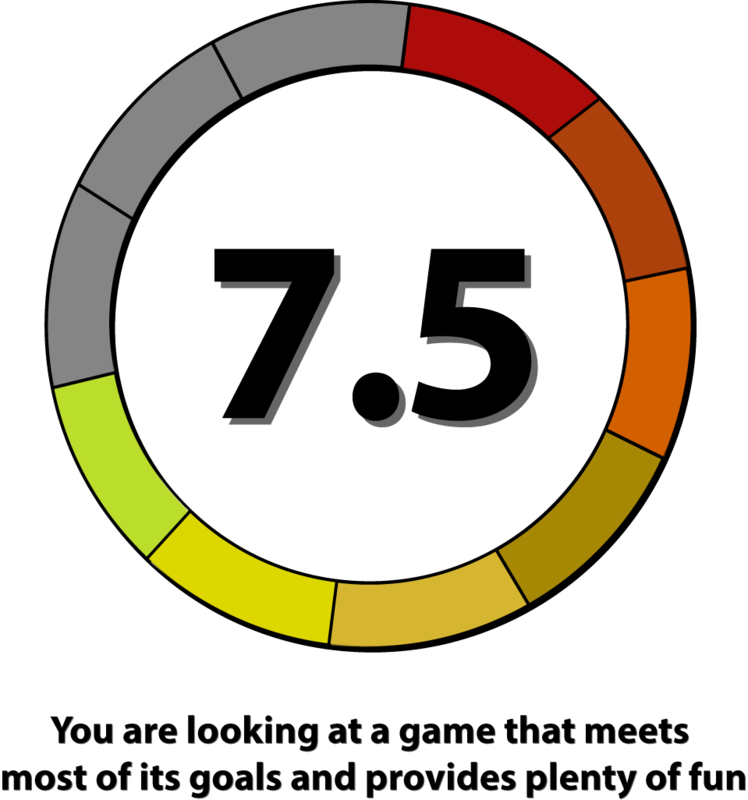 You also have to monitor your hunger as well as magic and health meters. Having a need for food is not uncommon in titles like this (and even other types of RPGs like older Ultima games). I can't say I have ever been a big fan of that particular mechanic, as it feels like it just makes the games needlessly more complicated and discourages exploration in a game where exploring is the primary gameplay feature. 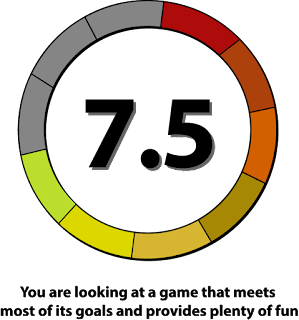 It does help to offset a (mostly) easy combat experience (though there are some pretty rough difficulty spikes at points in the game - a common occurrence in the genre). Dungeon crawlers are a one-step-at-a-time type of game, focused on north/south/east/west movement. This made them very mappable in my younger years (I went through a lot of graph paper on games like Wizardry and Shining in the Darkness). Where Haunted Dungeons: Hyakki Castle really does something kind of unique is it gives you the ability to split your party. When I first heard of this feature, I found myself kind of baffled by it - after all, the idea of splitting your team in half seems like it could be really complex to control. Thankfully, it is actually pretty straight forward. Since this is more of a real-time combat experience than turn-based (I actually generally prefer turn-based in my dungeon crawlers, but it's done well enough here), what you do is split the team off and you take direct control over half while the other half enters a sort of defensive state that greatly reduces damage taken. If you can bait your opponents into targeting them and then coming around from the side or back to attack, it sets up a sort of tank and spank scenario where you have less firepower overall, but also take less damage. These kinds of fights can linger on a bit longer than ideal, even with weaker, more common enemies, but it actually helps to make battles safer overall. While that split party mechanic is probably the most unique twist brought to the table, aesthetically Haunted Dungeons: Hyakki Castle is a bit unique as well. It has that swords and sorcery vibe, but as I noted in the player creature, it is a Japanese one versus the much more commonly used medieval / European knights-in-armor one we usually see. This is an indie title, so the critters and the stages are not the most technically impressive visuals out there, but they are distinctive and at least unique. Movement around the castle is smooth enough, even if combat animations are pretty simplistic. The audio does not hold up quite as well, since there is no music to speak of (which I find odd in a game like this where some sort of musical soundtrack would help to make things more interesting audio-wise) and pretty bare bones sound effects during combat. 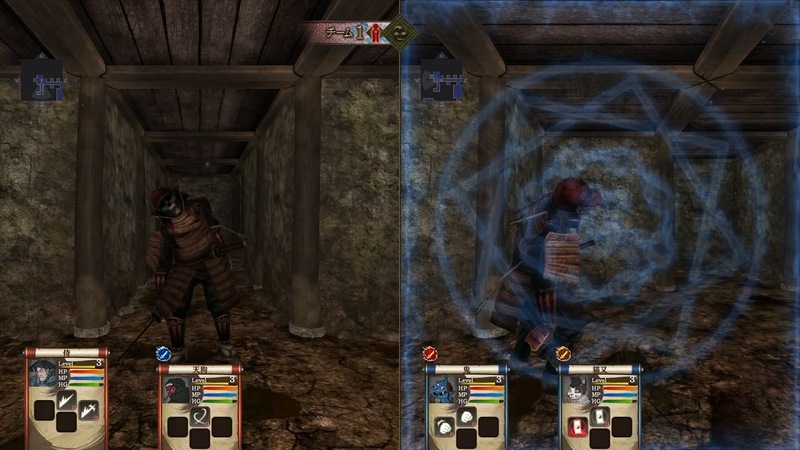 In many ways, Haunted Dungeons: Hyakki Castle is a pretty traditional dungeon crawler with its grid-based movement, first person perspective and numbers-heavy combat on the back end. Where it breaks the mold a bit is in how it allows you to split your party up for its real-time combat and Japanese-infused aesthetic. 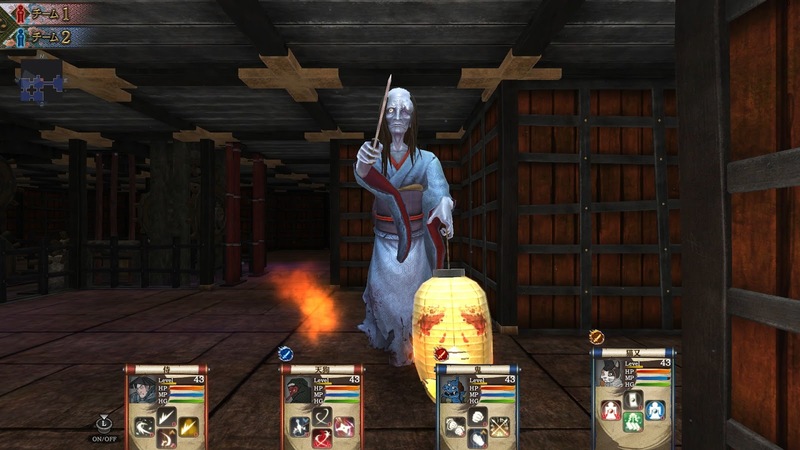 This is a genre that sometimes can get a little stodgy, and does not generally bring a lot of innovation to the table, so despite some annoying difficulty spikes and some lackluster overall presentation values, Haunted Dungeons: Hyakki Castle still makes for an interesting addition to the genre.